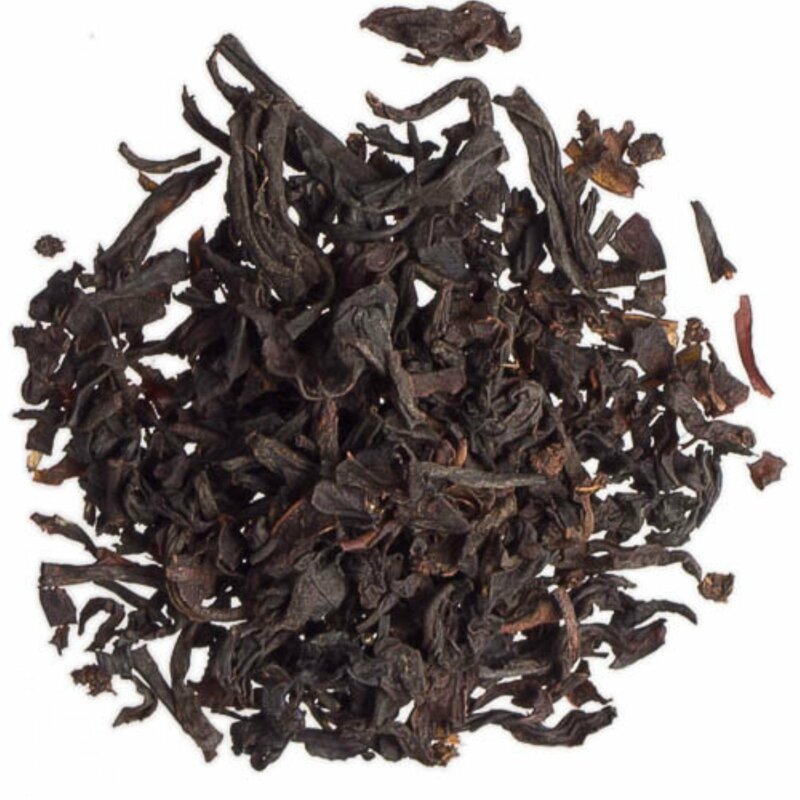 This popular blend of black teas has a full, robust, malty (and slight citrus) flavor. It's a good choice for those who prefer a bit of milk or sweetener in their tea. 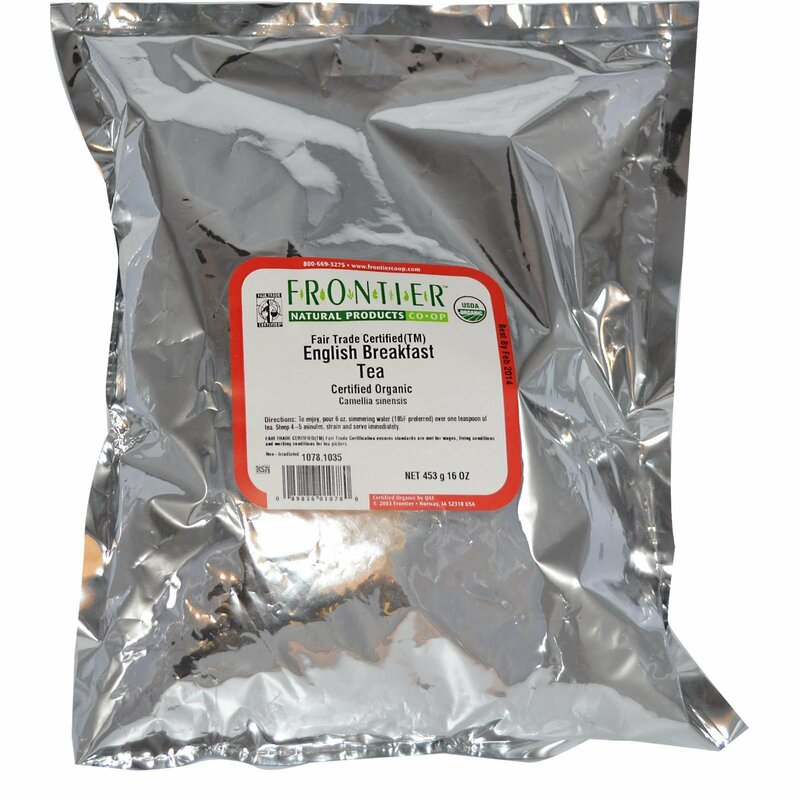 Botanical name: Camellia sinensis L.
English Breakfast is a tea hearty enough to pair with a full breakfast or a tea-time repast of freshly baked scones. This traditional tea is often accentuated with sugar or honey and milk. We're proud to offer a wide array of familiar and exotic loose leaf teas from the finest tea estates for optimum sipping. We've got a wide selection of organic and Fair Trade Certified™ teas, along with premium black teas, green teas, herbal teas and yerba mate amongst others. The best tasting teas are brewed loose. We have a taste for tea. And nothing tastes better than teas that are sustainably farmed and socially beneficial. That's why we're committed to offering a large selection of organic Fair Trade Certified™ teas. Purchasing Fair Trade teas benefits farmers committed to sustainable practices and provides support to their communities. To enjoy, pour 6 oz simmering water (185F preferred) over one teaspoon of tea. Steep 4-5 minutes, strain and serve immediately.